Home / HOW CAN I MAKE A DIFFERENCE? Food Serving Supplies* –3-sectional foam plates 8-10in., sporks with napkins individually wrapped, carry-out foam containers, napkins, disinfectant wipes, 1/2 size serving pans w/lids. Vegetables – Dry bags of beans: Pinto, Great Northern, etc. Starch – Pasta: Macaroni elbows, Spaghetti Sticks, and rice. Personal Care Products – shampoo, deodorant, soap, diapers, toilet paper, feminine hygiene, toothpaste: Hotel sizes. Kraft Paper bags: 5 1/8 x 3 1/8 x 10 5/8 inches. Averaging about 300 month. We serve pork-free meals. We only purchase beef, turkey, chicken and vegetarian/soybean based meats. No glass containers, perishable items or home-canned foods, please! Throughout our 8-year history, businesses have partnered with us to show the world how much they care about the community and giving back. They especially recognize grassroot organizations like Visible Hope because we are the only Non-Profit Organization in the United States that gives 100% to people in need and we never use donations to pay for administrative costs. We made a vow to never accept a salary to do what God expects all of us to do. We’re all about Transparency and Accountability. Gifts and in-kind donations of all sorts have helped us further our work, they have brought opportunities and resources to families in need of food another life-saving resources. Contributions large and small continues to make a difference here at Visible Hope, and we believe there is something every company can give that will allow us to help even more families in need. On June 15, 2018, we received a huge amount of meal boxes to give out to those less fortunate. We received over 12K meals and expected to receive another 20K by the end of September, 2018. We are in dire need of storage space and a kitchen to continue in our mission to feeding those that are hungry in our city and around the United States. We currently feed over 600+ people every month though our Meals 4 Hope feeding program. People count on Visible Hope to continue providing hot, nutritious meals for them and their families. Over 1/2 of the individuals we feed are homeless Veterans. This is the least we can do is provide them with a hot healthy meal for the sacrifice they made for you, us and the rest of the United States. 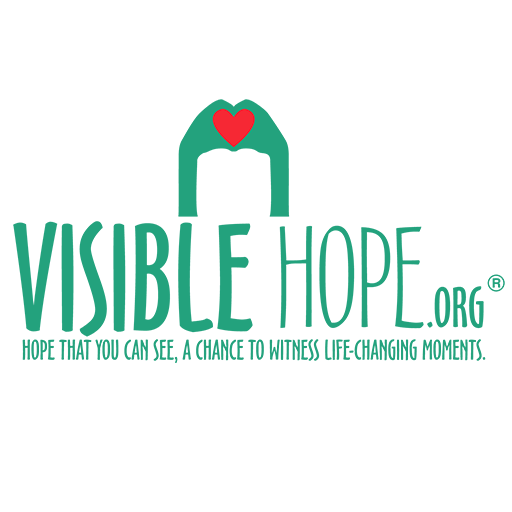 Please don’t hesitate to contact us about your desired donation to Visible Hope.